Frizz is the number enemy for your curly hair. When humidity and frizz combine together they can get any hair out of control. 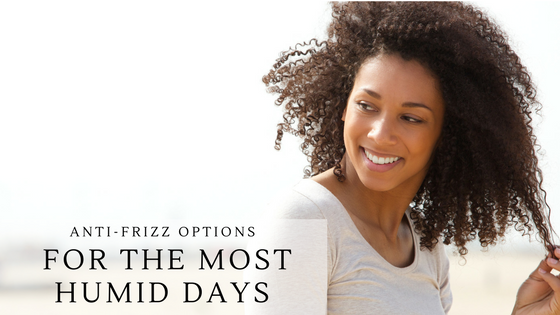 But fortunately there are a lot of options available to keep your strands in place even on the most humid days. Humidity can push you to shampoo your hair more than you should. This will strip your hair off its natural oils and will make it dry and frizzy. 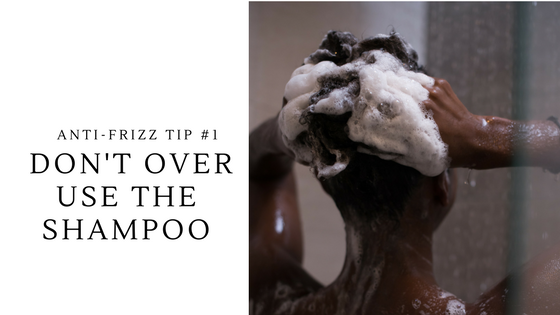 You can use a little bit of shampoo only at the roots of your hair once a week or opt for co-washing which will help keep your hair moisturized. Over time, your hair will get used to the new routine and it will feel softer and healthier. A good way to keep your hair frizz free is to use a cotton T-shirt to soak up the moisture after the shower. Rubbing and scrubbing your hair using a towel can add too much static electricity to your hair and will raise the cuticle which in turn will add frizziness to your hair. Just scrunch your hair using an old cotton T-shirt to squeeze your strands until they are almost damp and then let it air dry. There are some nice hairstyles that will work to keep your hair in check. Try to keep your hair up as much as possible as this will help you keep the flyaways in check and your hair under control. Wear your hair in a high pony tail or a messy bun and use natural oil or your homemade gel to keep the baby hair in check. 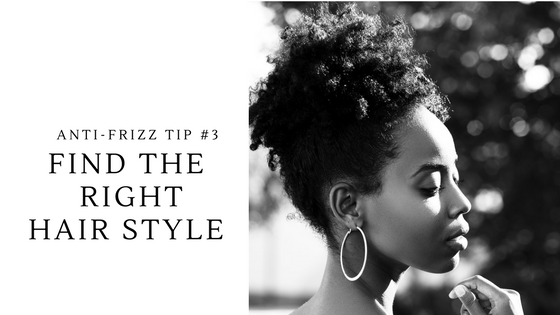 Curly and wavy hair is prone to frizz and flyaways and this is why you need to make sure that you are using the most appropriate products to keep your hair in check. 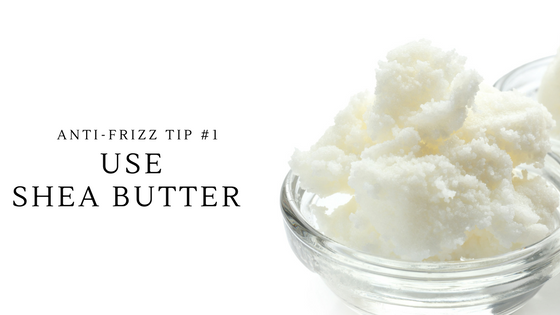 Shea butter is great to keep your wavy and curly hair in place. Using Shea butter on wet hair will also help lock in the moisture after the shower. A little bit goes a long way and will help nourish your chemically treated and bleached hair. You don’t have to use tons of products on your curly or wavy hair to keep it in place. Styling and defining products are packed with chemicals that will harm your hair. It is a good idea to opt for natural products whenever it is possible to keep your hair healthy and still have a stylish look. You can make your own gel that is 100% natural and free from chemicals using flaxseeds. Just add 4 tablespoons of flaxseeds to 2 glasses of water and stir on medium heat until it boils. Turn off the heat when a white frost starts to form at the top of the mixture. Let it cool and then keep it in the fridge. This gel is great to keep your hair in place and will not dry your strands like commercial products.